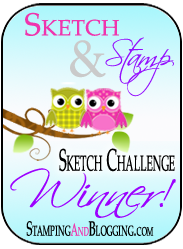 Free Shipping from Stampin’ Up! April 21-25!! Stampin’ Up! just announced that they will be offering free shipping on all orders* placed from April 21-25!!!! The retiring list will also be announced on Monday so you’ll be able to get free shipping on all of those items too. And just a reminder, all items (including stamp sets) on the retiring list are available only while supplies last so be sure to shop early for the best selection! So get your lists ready this weekend and have fun shopping next week!